Sometimes in my classes, I teach quick ways to color. I have a mix of experienced and new stampers each time, and so I try not to super complicated coloring techniques. We only have about 90 minutes, and we make three cards, so I have to keep it moving along. This month, I did one of my favorite coloring methods. It breaks your brain the first time you do it but it makes sense after that. I'll have another card with this technique on my blog next week from what we actually did in class. But after I got home, I filmed the process and I used three different variations to get three different looks, which you'll see in the video. But first - let's start with the background. If you missed it, the video for that technique is at this post. 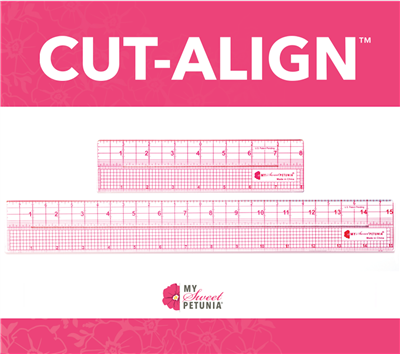 I cut that up into card panel sizes, and first I used it here, which you might have seen. But for today's project, I wanted to have the sentiment be sort of foggy in the background. Whenever you stamp on top of white paint, that paint will resist your ink - so I knew that my sentiment would sort of weave in and out of background and foreground, which is what I wanted - almost a graffiti look. I also wanted my flower to remain the focus, so I stamped the sentiment from this set in Morning Mist, which was perfect for the look I wanted. 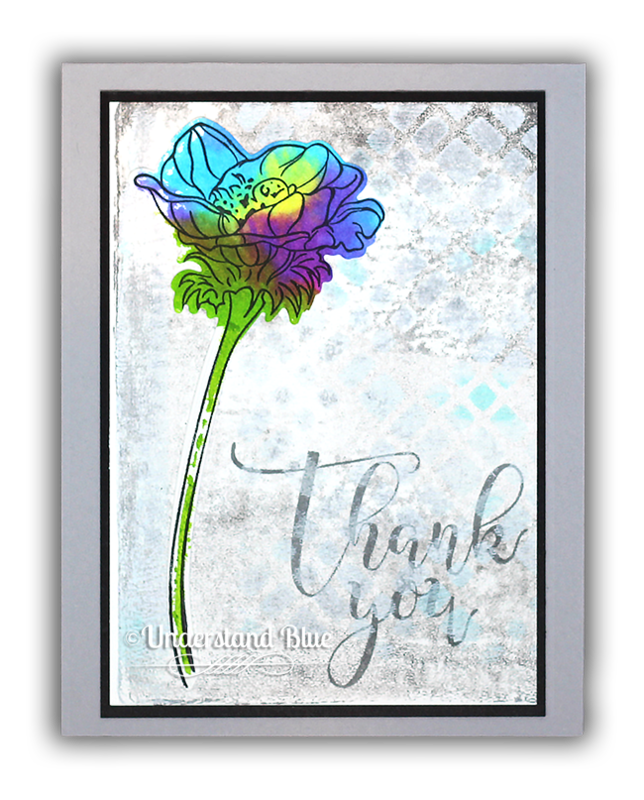 Then I stamped the flower from this set in Nocturne, and then did the technique you'll see in the video using these watercolor brush markers - this is a new set of colors, and it has the most perfect cyan and magenta in all the land - they mix to make that beautiful purple on my flower. I cut it out with the matching dies and glued it to the card front. Next for a more vibrant look, I did the third method in the video - same colors, sentiment from the same set, same ink. Aren't those fun? And when you see how they come together in two seconds - I think you'll love it. So here's the video - or you can watch here on YouTube. But come back, because I'll have a giveaway below! 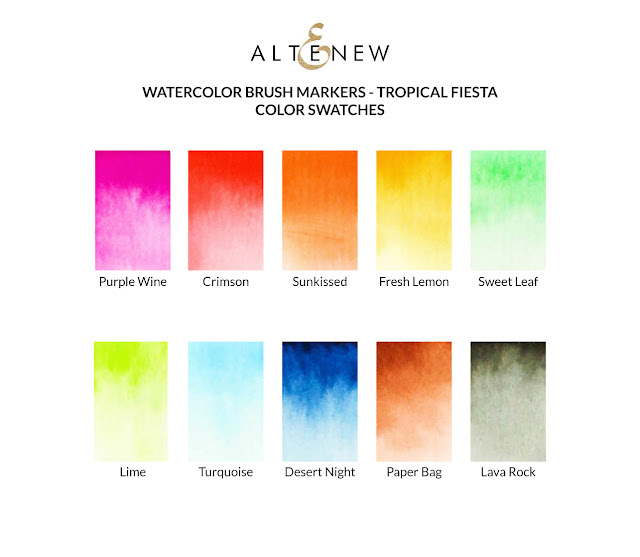 Altenew's new set of these watercolor brush markers are out today - the colors are gorgeous. Altenew will draw a winner to receive a $20 gift certificate from the comments left on my blog today. 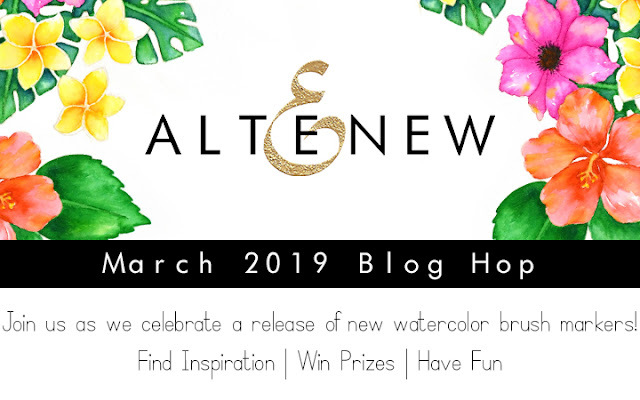 All winners will be announced on the Altenew blog on 3/31/2019! So leave me a comment with which of these is your favorite color. Thanks for sharing yet another new-to-me technique! Just when I though I had too many acrylic blocks sitting around! Wow! I really like these watercolor markers. I think they would be really easy to use...at least you make it look like they'd be easy to use. My favorite color is Desert Night, but Purple Wine comes in a really close 2nd. I wasn't aware that Altenew had these (because I live under a rock), but I'm going to have to check these out ASAP. Thanks for the video showing the different ways to use them for different looks. Wow I love learning new techniques! Thank you. I am going to try it! Wow. What a great technique. Beautiful card. Cool cards! Your technique is so unique - never ever would have thought to do that! What a great technique. I love that you can get different results by changing it up just a little. I just got the Altenew artist markers, looks like now I am going to have to get the watercolors, too. You are quite the enabler, Lydia. I love it! So unique and beautiful. Love the softness to the card. Love the cards! Can't wait to try these markers. Really neat techniques. Can't wait to try each one. Loved all 3 cards, especially how different each one was with the same colors. You are an amazing designer. Thank you for sharing the techniques and your talents. A new (to me) technique - so great! 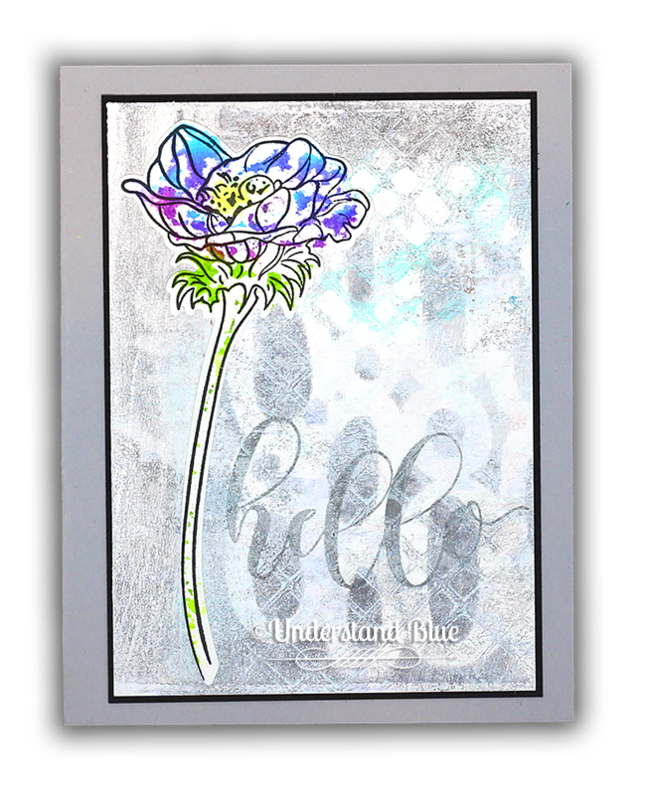 I watched you do the neutral gelli plate backgrounds the other day Lydia, a great combination for a card. I love blue of any and all shades. especially after seeing these shades. Absolutely gorgeous colors! Fabulous inspiration Lydia. Thanks for share this technique (never tried it before, but will have to)! Thanks for all you share! So gorgeous and unique!! Love these new colors. Desert Night is my favorite. My favorite color is Purple Wine, but all of the colors are gorgeous. Thanks for the video, Lydia. Love this technique and can't wait to try it! Turquoise is my favorite color! Love this technique and can't wait to try it! Love the color turquoise! This a great coloring technique! As for my favorite color in the marker set, right now I would say any of them - I’m so done with the gray, dirty snow and ready to see some bright colors of spring! Very fun!! LOVE the background you did!! The opera like pink is great but oh the turquoise ! I love all of these colors...so vibrant,but I think my top two would be desert night or purple wine. Would love to win so I could get these! Desert Night! Off to watch your video now. :-) Love ya! Interesting and different technique. Like the end result. Amazing background on your card! I love all the dimension. Thanks for sharing this clever technique (one I had not seen before)! I loved the results you achieved on your beautiful cards and want to try this! Loved your video of this technique - I'll have to try it! My favorite color from the new watercolor pens is the turquoise! So pretty. Pretty cards! These colors are awesome! Turquoise is my favorite! Very cool card! I love learning from you via video, thanks! And I think my fave color is Desert Night! These are so cool!! Love the bright colors and the soft, dreamy sentiments. I can't pick one! Turquoise and purple wine! Fabulous cards! Gorgeous new colors of Watercolor Brush Markers. Love all your great ideas, techniques and video. Beautiful cards and super cool techniques! I love how the subtle variations of the technique produce such different results. OMG...I love it...you are so clever mf!! 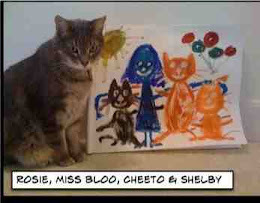 Thanks for showing us the markers...love. Well the colour choice is pretty predictable with me; the Turquoise of course since I'm a lover of blue just like you!! Thanks for always inspiring...wish I could go and play right now!! I love your card. Gorgeous. It’s hard to pick a favorite with this set, they are all beautiful. I think maybe the turquoise is the one I love the most but the Desert Night is nice too!! What a fun technique! I can’t wait to try. Thanks also for showing how to activate the brushes. I think I love the turquoise the most. That is certainly an interesting way to color a card. Some thing I need to try. Thank you for the demostration. Great fun technique and video. Must try this. I love this great collection of colors (yes, this collection is on my wish list!) It's hard to choose one, but the "Paper Bag" has caught my eye as unique. Beautiful! My favorite would have to be the Purple Wine. I love the way the "hello" sentiment in the first card echoes what is going on in the background. Your cards are very pretty, and I loved watching them come to life on your video! Thanks for the inspirtion! 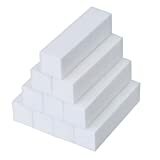 Awesome techniques with the blocks. Thanks. I love all of the bright colors but I'm partial to the turquoise. Love how the bright colors of the flowers look against this aweso background. And then the sentiment looks great too! One? How can I pick just one? Lime, purple wine, sunkissed, lave rock, desert night, turquoise, crimson, ... What can I say? I L O V E color. Also love your card and background. The backgrounds you created are out of this world and so inspiring. Thank you for sharing. First, I would like to say your technique for today was great. I can't wait to try it out! The cards are amazing and I need to go to the background tutorial video to see how you created them. lastly I can't really say which is my favorite color from the pack but usually I am an orange lover. You are AMAZING!!! I need to try this!! Love the coloring of the flowers. Awesome job. Thanks for sharing your creativity! That's different from anything I've tried before. I'll have to give it a whirl. Cool technique. I've used acrylic blocks for smooshing but not for coloring an image. I think I like the second technique more. I love those backgrounds and did watch the video. I bought a gel press but have yet to use it. I seriously need to try it. I loved all three of your cards Lydia. Pick a favorite color? Wow, that's hard to do. If I can only pick one it would have to be purple wine. Desert Night is my favorite, of course. I am a first-born after all. Lovely cards! The video explaining your coloring technique with the new watercolor pens makes it look so easy...can't wait to try it. Fabulous techniques using an acrylic block. I will definitely be trying these. Turquoise is my favorite of the colors. Thank you for sharing your talent wth these gorgeous markers! Love your cards! I am working on my watercoloring and this is a new technique to me too. Thank you for the videos and for the inspiration! Only one Desert Night... but I can't I want them all. Loved your techniques and your cards. Very interesting technique when coloring your floral images. Thanks for showing us three different ways to accomplish this look. I'm in love with the new tropical paradise watercolor brushes. Now I just need some sun, sand and ocean water. Thanks for sharing your time and talent with us. Beautiful cards. I love those backgrounds and can't wait to try this technique. Awesome techniques, Lydia! And fabulous cards! Thanks so much for sharing. I'll be trying this soon. This is genius!!!!! Love purple wine!! Such a fun technique! I have been playing with plain aqua brushes a lot lately, but having the colors in the barrel already is fantastic! Very hard to choose one color, but I will go with Purple Wine. It looks so luscious! I just LOVE your bright and beautiful flowers! They feel so fun and artsy! My favorite color of these new hues is CRIMSON! It's so bright and eye-catching! Wonderful look to those cards - they have a lovely, artsy, loose, distressed, sketched look to them. Very fresh and appealing! These watercolors are so deep and bold, and I love the colors in this newest set best of all.... reds are my fave color, so I like crimson, but orange and lime are close seconds!! Love how the sentiments look... and you make it look so easy! This is very pretty, love the bold colors on the flower! Beautiful cards! I love simplicity! Your cards are so eye-catching and creative, Lydia! Love your 'foggy' background which really helps your flowers take centre stage! Love these bright new colours and so difficult to pic one favourite! I think it would have to be crimson! Gorgeous rich colour!! 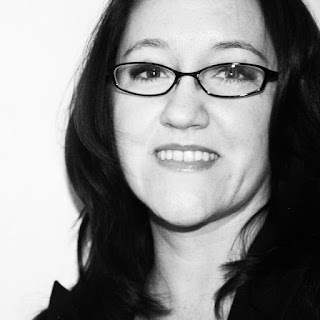 Thanks so much for sharing and the great inspiration! What amazing techniques. I can't wait to try both the flower and background the next time I am in my crafting room. I absolutely love blues and greens either separately or together. Love the neutral backgrounds. They look so elegant. I really love the way you coloured the flowers. Definitely something I want to try. The video is really helpful. 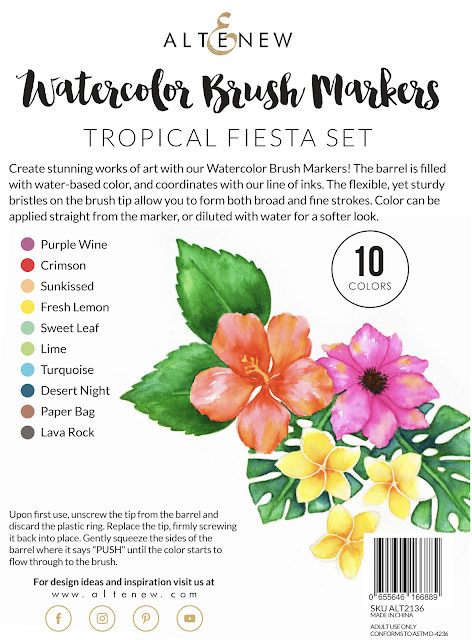 Love, Love, Love the Purple Wine color in the Tropical Fiesta Watercolor Brush Marker set, it's yummy (OK maybe that's just the Wine part but still my fav color :)). I really like how you embrace loose coloring. I have a hard time with that, so I appreciate every technique you show us that reminds me that it's easy, fun, and beautiful. Thanks for sharing! That white resist look is really cool! Beautiful cards!